While the debate surrounding health care swirls in Washington, DC, primary care providers, administrators, and payers are struggling to prepare for potentially massive shifts in policy confronting primary care. 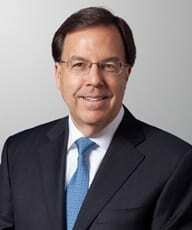 To learn more about what primary care can expect over the coming months, we spoke to Proskauer Partner Rick Zall, a PCDC co-founder and one of New York’s most prominent health care lawyers, who advises clients on all matters including federal and state health care regulation, health sector investment, and third party reimbursement. PCDC: As promised in his campaign, President Trump has made repealing the ACA priority for the new Congress and Administration. What do you anticipate the impact of this repeal will be on the delivery of care, even if there is a delay in implementation? Zall: For now, the main impact of the “ACA repeal” discussions in Washington is uncertainty. However, based on the information we know, it is very likely that insurance coverage will be sharply reduced, and as a consequence, access to care for many currently covered individuals will be sharply limited. The recent CBO analysis indicated that twenty four million Americans will lose coverage if the GOP plan is adopted. PCDC: What impact might the new Administration, and in particular a new HHS Secretary, have on primary care for patients and for providers? Zall: Many newly insured patients – either through the exchanges or Medicaid expansion – will likely lose their insurance. If so, they will defer care and forego preventive and primary care services. In addition to being asked to treat more uninsured patients, providers also face reductions in reimbursement under Medicaid and Medicare. It is unlikely that funding programs for safety net providers will be maintained at existing levels, and special programs like the disproportionate share reimbursement program, are not likely to be restored or expanded. As a result, I expect to see an uptick in distressed hospitals and clinics. PCDC: What are the three indicators/signals that you will be paying attention to for primary care over the first year of the new presidency? Zall: I will be looking at (1) changes to Medicaid expansion funding; (2) whether the exchanges where many individuals are now obtaining subsidized coverage are undermined as part of the ACA repeal; and (3) whether Congress and the new Administration make policy shifts away from value-based care and population health management, which promote the role of primary care. I think the first two are likely to happen and the third is less likely. None would be good for primary care because they will cut off funding (either directly or via reduced insurance coverage) to enable primary care providers to delivery services. PCDC: PCDC is among the many advocacy organizations who have supported the ACA’s expansion of coverage. What should our role be at this volatile time? Zall: Advocacy remains critical and will be necessary to create alliances with other organizations to oppose reductions in funding. Primary care advocacy groups must join in broader advocacy coalitions around health care access and defense of ACA programs to both support the general campaign to protect the gains of recent years and to look for opportunities to shape whatever replaces the ACA with programs that promote primary care. PCDC explored this topic on January 31 at its Primary Care Innovation Circle event titled, “Primary Care Under the New Administration.” The event featured a panel of experts who spoke to the potential changes to the health care system and their impact on primary care.